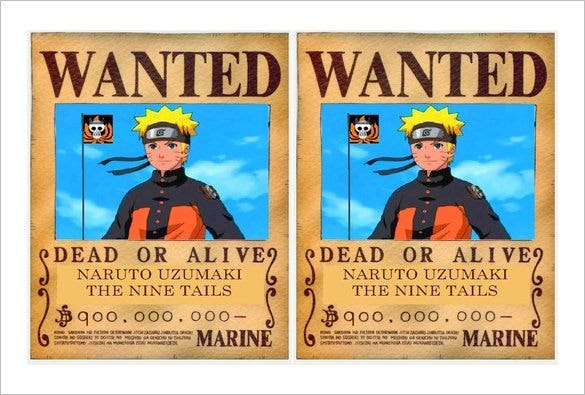 The one-piece wanted posters are the most needed when one has to issue a wanted poster on a single criminal. The center of the poster is dominated mostly by a large picture or sketch of the alleged criminal. The poster also carries mention of his name and crime. 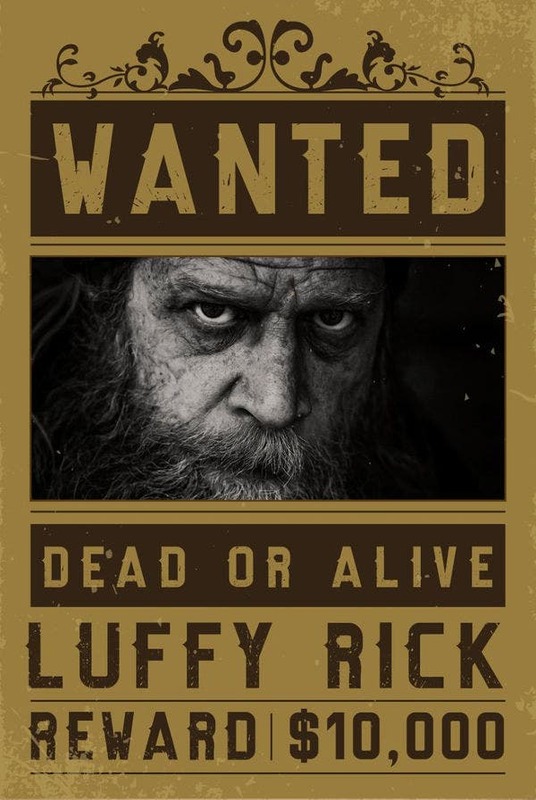 The Western Wanted Poster pieces are really popular given their rustic flavor. 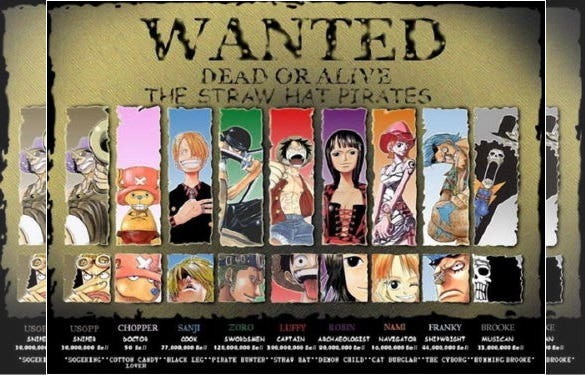 The simple one piece wanted poster is a normal animated poster template that contains all the main characters of the famous animated show the straw hat pirates as wanted dead or alive. 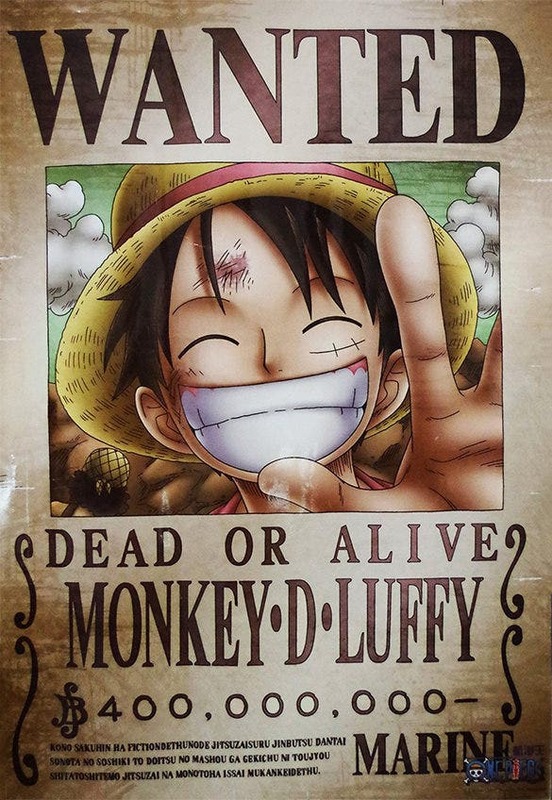 The retro one piece wanted poster is a simple poster template which has the picture of Monkey D luffy in a comical laughing position with a dead or alive wanted add. The one piece OP Monkey wanted poster template is a simple poster template which gives a down to top view of all the characters of the famous animated series. 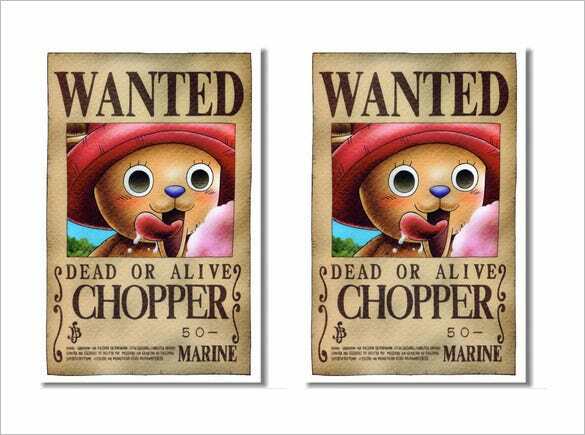 The wanted chopper one piece poster template is a retro wanted template which contains the picture of chopper who cannot control the constant drooling after seeing the pink cotton candy. The one piece wanted poster template is a superb graphical representation of one of the iconic scenes of the famous animated series that has been created beautifully to explain the current situation. 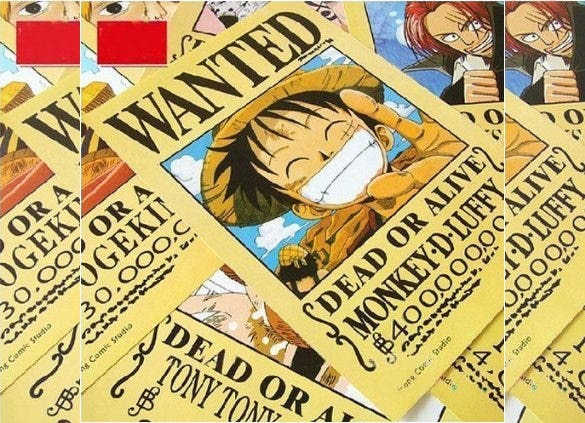 The one piece Luffy wanted wall poster is a huge wanted poster template that contains the comical face of Monkey D. Luffy who is smiling and showing all his teeth. 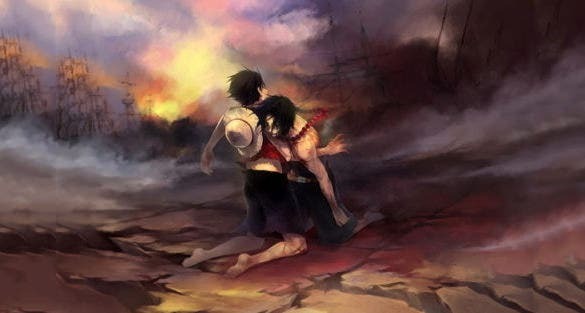 The poster template for one piece download is an animated and paid poster. 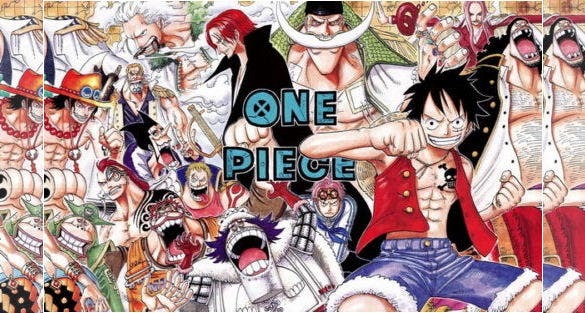 This vibrant and colourful poster is tremendously popular amongst the One Piece series fans. The poster template is easy to download and is printer friendly as well. The One Piece wanted Naruto Vintage poster has a very old school vibe to it. This template is a paid one and is printer friendly too. One Piece fans across the globe absolutely love this premium poster. The poster has seen a large number of downloads and purchases. 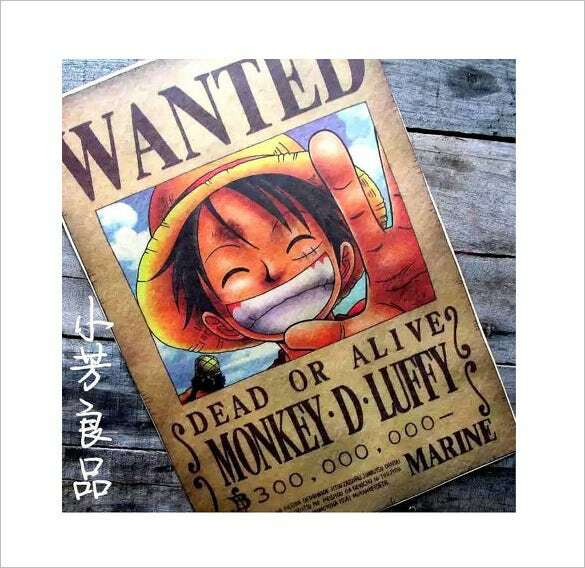 The Topbill anime One Piece pirates wanted poster has the image of a Monkey D Luffy from the series on it. The template is easy to download and is also printer friendly. 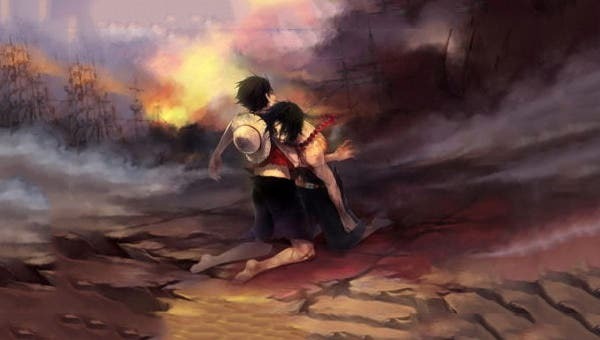 This poster is tremendous popular amongst children who are fans of the One Piece series. 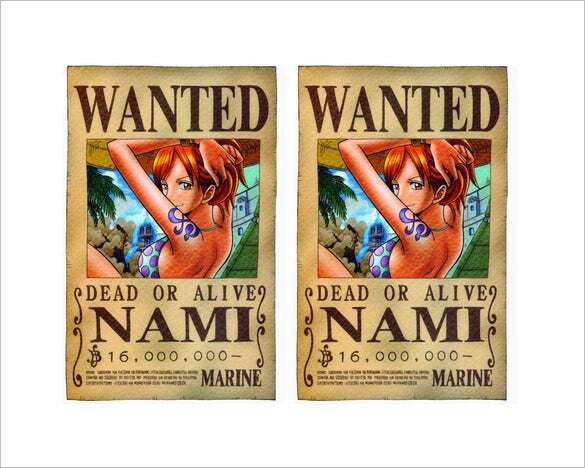 The wanted Nami custom canvas One Piece poster is extremely popular amongst Nami and the One Piece series fans. The user can edit the poster to add reward details and other information. This template is a paid one and can be easily downloaded and printed. 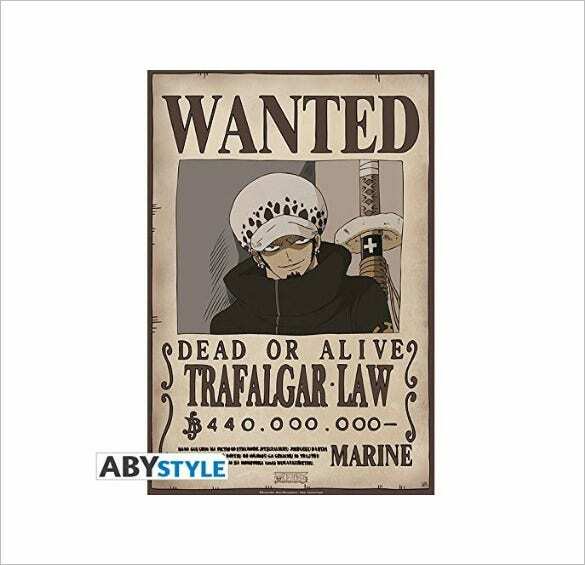 The wanted Trafalgar Law One Piece poster has the image of the famous One Piece series character Trafalgar on it. This template is easy to download and is a paid one. The template is available in PDF as well as other formats.